In a meeting with nearly 170 Israeli college students, at his office in the central West Bank city of Ramallah, Palestinian President Mahmoud Abbas said that the Palestinian Authority does not want a divided Jerusalem, but wants a united city -- a united capital for two states. 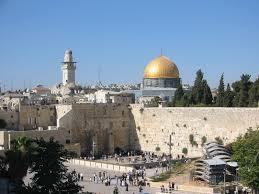 Abbas said that Jerusalem should be open and united; followers of all faiths should be able to enter it. “We do not desire to divide Jerusalem, we want it to remain open, where Jews and Palestinians can coexist and live side by side”, Abbas said. 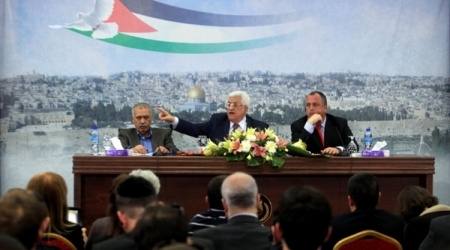 As for the Israeli preconditions, especially regarding a Palestinian recognition of Israel as a Jewish State, Abbas said, “We will not recognize it as a Jewish State” [such recognition would mean negating the internationally-recognized right of return for Palestinian refugees], and added that the Palestinian Authority will not accept the presence of any Israeli soldier in Palestine. 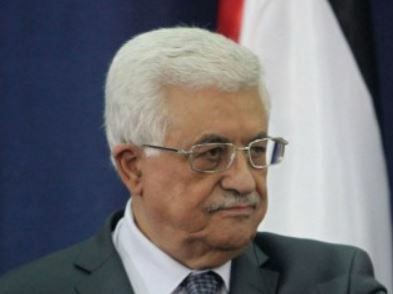 The Palestinian president further stated that the Palestinian Authority does not want violence, and has been acting to prevent “violent activities”. During the meeting with the Israeli students, Abbas also informed them about the difficult conditions in the occupied territories, the ongoing invasions, assaults and violations carried out by the army. He also pointed out that Israel continues to steal Palestinian water in the occupied West Bank. He also said that the Palestinian negotiators asked their Israeli counterparts to act on resuming the work of the special committee against incitement, but Israel refused. As for the issue of the Palestinian refugees, Abbas said that he does not want to “flood Israel with refugees”, and is not seeking to change its “social demography”, adding that there should be an agreed upon solution between Israel and the Palestinians, based on the Arab Peace Initiative. On Friday, Israeli Foreign Minister of the extreme right wing ‘Israel Our Home’ Party, said that Israel would never give up its demand of a full and official Palestinian recognition of it as a Jewish State, the exclusive homeland of the Jewish people. 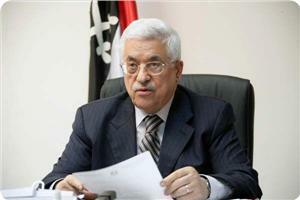 Abbas said that the Palestinians would never agree to this demand, adding that it is only meant to foil peace talks. The Palestinian President further stated that Israel never demanded Egypt and Jordan to recognize it as a Jewish State when signing peace agreements with the two countries. A Palestinian recognition of Israel as a Jewish State also poses great risks for the indigenous Palestinians who managed to stay in their home when Israel was established in the historic land of Palestine, in 1948. At that time, the Israeli forces destroyed and depopulated hundreds of Palestinian villages and towns, displacing more than 800.000 Palestinians. Right now, there are more than 5 million Palestinian refugees living in but dozens of refugee camps, both in the occupied Palestinian territories and in a number of Arab countries. Despite numerous United Nations resolutions calling on Israel to withdraw from the occupied territories, and resolutions affirming the Right of Return of the refugees, Israel has never recognized these legitimate Palestinian rights, and has continued to ignore and attempt to negate them. President Mahmoud Abbas will meet US Secretary of State John Kerry in Paris Wednesday to discuss peace talks with Israel, a senior Palestinian official said Monday. The official said Abbas would leave for France on Tuesday for the meeting, which he said had been requested by Kerry who is currently in Abu Dhabi. The top US diplomat has spent months trying to get the two sides to agree on a framework for resolving their decades-old conflict, but the negotiations have shown little sign of progress, with each side blaming the other. “Abbas’s speech signified a serious concession and is nothing more than a personal position; it’s not binding for anyone,” the statement added. “The refugees’ issue and their return represents a national and personal right that president Abbas views the call for it according to UN resolution 194 as “an obvious propaganda,” the statement explained. 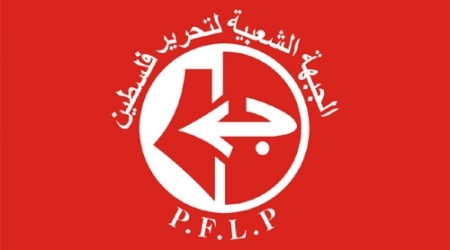 PFLP stated that they reject all forms of normalization with the Israeli occupation including such meetings that yielded nothing but more Zionist extremism. The Palestinian refugees and their descendants number about five million people. According to AP, Abbas told his Israeli visitors he seeks a "creative solution" for refugees, suggesting he is not demanding a blanket "right of return." The Hamas Movement condemned Palestinian Authority (PA) president Mahmoud Abbas' meeting with dozens of Israelis in the PA headquarters in Ramallah. "These meetings are a normalization of relations with Israeli killers and serve their image in the world," spokesman for the movement said. "It is necessary to stop these meetings, which point to the collapse of the Palestinian Authority’s positions." Abbas met on Sunday with an Israeli delegation of 270 youths at the PA headquarters in Ramallah, and greeted them in Hebrew. He briefed them on his supportive position of the peace process under US mediation. For its part, the Palestinian student assembly condemned Abbas' meeting with Israeli students, saying that it contradicts with Palestinian constants and the national consensus. In a statement issued on Sunday, the Assembly considered Abbas’s initiative as a blow to the academic boycott of Israel. "Israel takes advantage of such meetings to whiten its bleak images in front of the world, and to weaken the boycott movement," according to the statement. The statement stressed that this meeting came in the framework of the Israeli-Palestinian unpopular peace process, saying that it provided a cover to Israeli crimes and racist policies. Jordanian Prime Minister, Abdullah Ensour, stressed Israel is obligated by all clauses of peace treaty. Ensour said before the Lower House, the Jordanian Parliament, Sunday that Israel cannot choose the parts of the peace treaty it wants to implement, and anything to do with Jerusalem is specifically stated in the agreement as well the Jordanian historic role in the Holy shrines. " “ The treaty, signed in 2013, states clearly that Jerusalem and the Holy places are a property of the Palestinian people; Jordan don’t dispute the Palestinian people’s right of sovereignty over the Palestinian land. However, guardianship is another thing that is to protect and defend the Islamic holy places.” Said Ensour. Ensour’s comments, made in a speech to parliament, came in the wake of reports that the Knesset will hold a discussion regarding cancelling Jordan's authority over the Al-Aqsa Mosque. 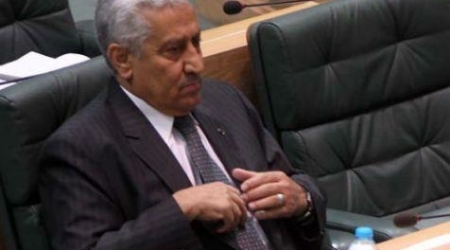 Ensour said that calls by MKs to discuss the issue were "dangerous." “we will take a situation in case the Israeli Knesset made an incompatible decision with the Jordanian-Israeli peace treaty” he said. "Jerusalem and Al Aqsa Mosque is a redline for the Arabs and Muslims," the lower House said, referring to Islam's third holiest site in Jerusalem's old city. The Israeli government approved Sunday new criteria for granting government assistance to 35 settlement outposts. Haaretz reported that the Israeli government adjusted the regulations in a way that would add 35 isolated West Bank settlements to the list of favored communities, or "national priorities map." The Palestinian Authority and Hamas issues a warning on Sunday of Israeli plans to impose Israeli sovereignty on the Asqa Mosque in Jerusalem. The Palestinian Minister for Religious Affairs Mahmoud al-Habbash told Jerusalem Post that the only sovereignty over the site would be Palestinian. "This is the full right of the Arab, including Muslims and Christians." He went on to claim that Israel has plans to divide the Asqa Moque, which he argues are efforts that won't succeed. Another top PA official was quoted by warning Israel against the consequences of "desecrating the holy sites in Jerusalem." Israel is "playing with fire." 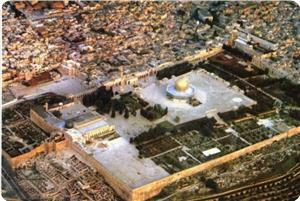 In the Gaza Strip, Hamas representative Yunis al-Astal accused Israel of plotting to destroy the Aqsa mosque in order to build the Third Temple. The Hamas official also criticized al-Habbash for saying that Jews would be permitted to visit the Western Wall after an Israeli withdrawal from east Jerusalem. The Knesset is set to hold a plenary discussion on Tuesday to discuss a proposal by Israeli MK Moshe Feiglin (Likud) to place the Temple Mount under Israeli supervision. 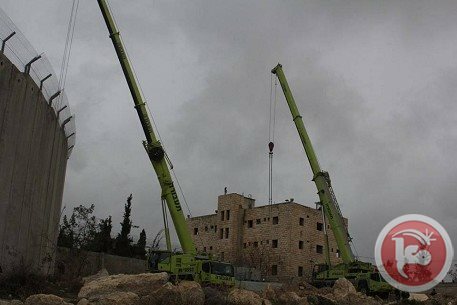 Anticipating a negative decision by the Israeli Supreme Court, Israeli authorities on Sunday started to build a section of its separation wall around a hotel in East Jerusalem. Locals told Ma’an that bulldozers escorted by large numbers of Israeli troops arrived in the morning and started to erect a wall made of huge T-shaped concrete blocks around the Cliff Hotel. The hotel will be separated from the East Jerusalem Palestinian town of Abu Dis to be eventually confiscated under Israel’s law of absentee property. The Cliff Hotel is a four-floor building 50 meters from the Palestinian parliament in Abu Dis. Its original owners are members of the Ayad family, have been waging a legal battle to stop construction of the stretch of the separation wall around the hotel. 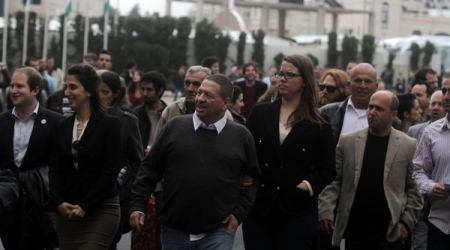 All the owners hold Palestinian identity cards. Since 1996, the Israeli authorities have been trying to confiscate the hotel and take control of it for several reasons, says lawyer Bassam Bahar who has been defending Palestinian lands in Abu Dis. He highlighted that the Israelis claimed the hotel belonged to a Jewish family and would be annexed under absentee property law. Sometimes, they cite security pretexts to confiscate the hotel, he added. The lawyer highlighted that the Israeli authorities started construction work around the Cliff Sunday morning because they anticipate the Supreme Court to rule against an alternative route. He added that the Israeli attorney general had decided that the hotel was not an absentee property. The Palestinians do not want to divide Jerusalem, but rather keep it as an open city to be a capital for two states with Arabs and Israelis living together in the city, President Mahmoud Abbas said Sunday. 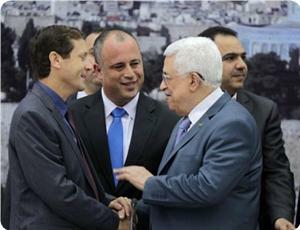 The president’s comments came as he hosted a group of Israeli students in his office in Ramallah. Abbas highlighted that it’s the Israeli government to be held responsible for hindering peace talks through the ongoing settlement construction on lands belonging to the state of Palestine. “How do they want to make peace in light of the ongoing settlement construction on lands on which the state of Palestine should be built,” Abbas asked the Israeli students. 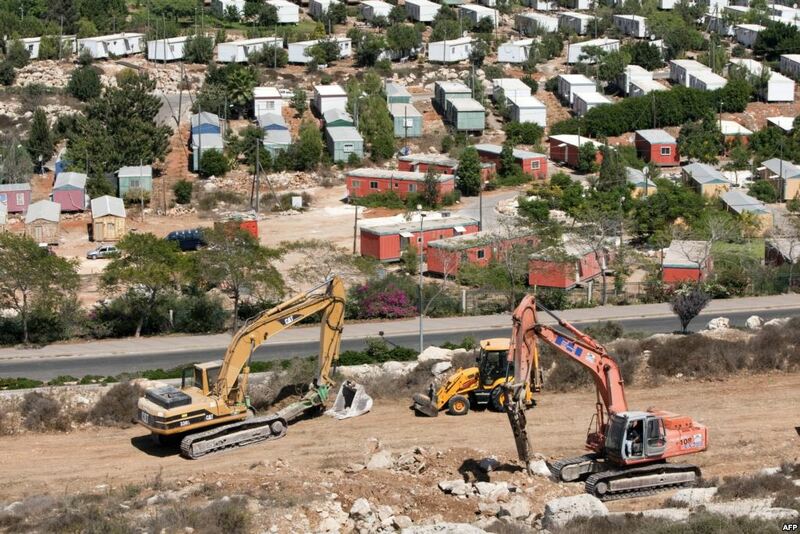 Israeli television seven channel said that Israeli Occupation municipality in Jerusalem approved today "Friday" construction of 350 housing units in the settlement of Talpiot in the east part of Jerusalem. 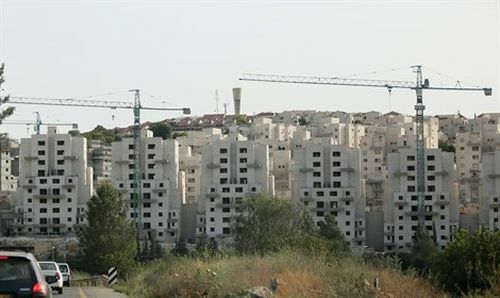 The channel added that the District Committee of the Municipality approved in the projects to build 8 building within the the settlement expansion plans in the neighborhood which is part of the Palestinian territories occupied in 1967. Israel's decision to build these units comes despite the positions of the United States and the European Union, which considers the settlements activities illegal and must be stopped but Israel did not respond to U.S. and European demands. The Palestinian side in the negotiations rejected Israeli settlement decisions and consider them a violation of international law and aims to destroy the peace negotiations. Palestinian officials said there would be no option in for Palestinian leadership, only to go to the International Criminal Court. Hamas Movement condemned Palestinian President Abbas meeting with dozens of Israelis on Sunday at the headquarters of Palestinian Authority in Ramallah, considering it a form of normalization. Spokesman for the movement Sami Abu Zuhri said in a brief statement that “Abbas’s meeting with Israelis polishes the public image of Israel,” dismissing these meetings which “reflect a serious breakdown in the political positions of Palestinian Authority." President Abbas on Sunday met with an Israeli delegation of 270 youths at his the PA headquarters in the West bank central city of Ramallah. The meeting has attracted popular discontent, while PA security forces prevented journalists from covering a sit-in staged in Ramallah to protest the event. A Palestinian student body inside the occupied 1948 territories condemned the Abbas’s initiative as a blow to the academic boycott of Israel, Quds News reported. Israel uses such events to signify that a Palestinian-Israeli dialogue is going on and that the world not entitled to boycott Israel. The statement stressed that this move comes within the futile, unpopular peace process, and provides a cover for Israel's crimes and racist policies, adding that it undermines Palestinian struggle. Palestinian President Mahmoud Abbas has told some 300 young Israelis visiting him in the West Bank that he does not want to "drown Israel with millions of (Palestinian) refugees to change its nature." Abbas' comment Sunday was his most conciliatory yet on the fate of Palestinian refugees who were uprooted from homes in what is now Israel, including in the 1948 war over Israel's creation. Today, the refugees and their descendants number about five million people. In Israel, there is broad consensus against accepting a large-scale resettling of these refugees in any future peace deal with the Palestinians, amid fears the returnees would dilute Israel's Jewish majority. Abbas told his Israeli visitors he seeks a "creative solution" for refugees, suggesting he is not demanding a blanket "right of return." The Jordan Engineers Association (JEA) called for adopting a firm position against the calls by MKs to enact a law ending the Jordanian sovereignty over the Aqsa Mosque, and imposing the Israeli sovereignty over it. JEA chairman and president of the Arab Federation for Engineers Abdullah Obeidat said in press statements: "The Jordanian government should take a firm stand regarding those calls and schemes that aim at ending the sovereignty of Jordan over al-Aqsa Mosque." He added that these calls came in conjunction with Kerry's project, which aims to liquidate the Palestinian cause and cancel right of return. Obeidat asserted that the association will continue its activities to expose the plots targeting the Palestinian cause. 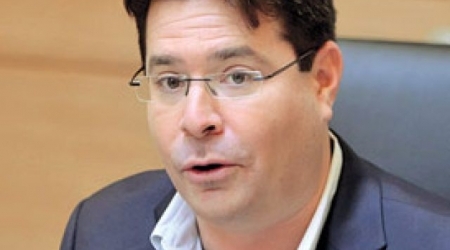 Israeli Knesset member "Ofir Akunis"
Israeli Knesset member "Ofir Akunis", expected Saturday the extension of the ongoing negotiations between the occupation and Palestinian authority "PA" in Ramallah, in an effort to reach a settlement agreement within a year. During a political forum Saturday, he said "It is possible that Israeli Prime Minister Benjamin Netanyahu will agree with U.S. President Barack Obama in their meeting scheduled in Washington next month, to extend the period of political process with the Palestinians for a year." "There is no confrontation between Israel and the United States, but there are fundamental differences between the two countries," he added. Akunis saw that the Israeli government's approval to withdraw to the 1967 borders would be like a "suicide," adding that such a procedure was not and will never be part of the policy of his party, "Likud", according to his assertion. 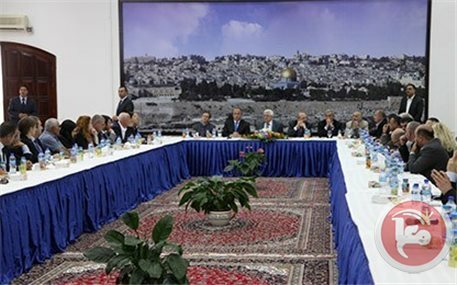 Palestinian Authority is conducting negotiations with the Israeli occupation , with a total rejection of most of the Palestinian factions. 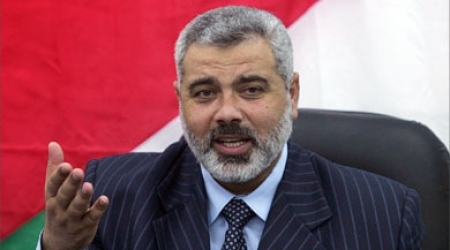 Palestinian Prime Minister in Gaza, Ismael Haneya, described US secretary of State, John Kerry’s “Framework Plan” as “unjust” confirming that the Palestinian people is unobliged to accept it and will not let the Palestinian fixed constants be touched. 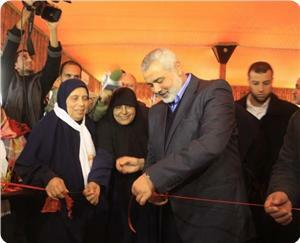 Haneya stressed on not giving up Palestinians rights; vowed to work on releasing the prisoners in the Israeli prisons. “ Framework Plan is intended to drain the Palestinian issue; our people has the right to defend its basic rights”, Haneya said Saturday while delivering a speech during opening the Veteran Prisoners Association in Gaza. Palestinian PM pointed out that the negotiations with Israel is just a waste of time. He pointed out that Palestine has no enmity with any country in the world, especially Egypt, stressing that Egypt represents the strategic depth for Palestine and Gaza. At the end of his speech, Haneya welcomed any international efforts that help our people obtain its national rights pointing out that his government received dozens of delegates who stood beside the Palestinian issue. Palestinian premier Ismail Haneyya on Saturday pledged to continue the efforts to have all Palestinian prisoners, especially the women, released from Israel's jails. "We will never forget our prisoners, and our struggle cannot be complete without freeing them," premier Haneyya stated at the opening ceremony held in Gaza city for the society of veteran female ex-detainees. The premier stressed that the Palestinian resistance would take all paths and overcome hardships in order to extract the Palestinian prisoners' freedom. "We will never cede an inch of the Palestinian lands and will not waive one of the Palestinian people's rights," the premier added. "We are not bounded by any framework agreement arising from the US-sponsored settlement negotiations between the Palestinian authority and the Zionist occupation," he said. 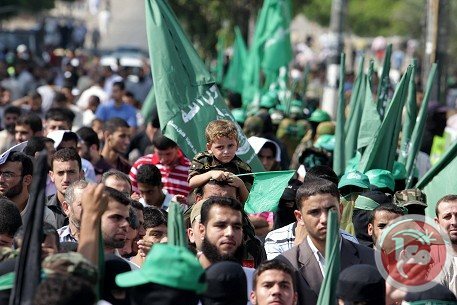 A spokesman for Hamas said Friday that the faction would regard any international military presence within a future Palestinian state as "occupation" forces. During a rally in Rafah in the southern Gaza Strip late Friday, Sami Abu Zuhri said that any international forces stationed in Palestine as a result of a peace agreement with Israel would be treated the same as the Israeli occupation. Abu Zuhri called on Palestinian Authority President Mahmoud Abbas to withdraw from negotiations with the US and Israel, saying the talks only served to "terminate the question of Palestine and what is left of Palestinian rights and principles." "Nobody has authorized you (Abbas) to speak on behalf of the Palestinian people, or on behalf of Hamas or any other faction," he said. "Why don't you tell the truth about what is going on in the secret negotiations? If you are honest, go out to your people and tell the truth and give them details." Abu Zuhri urged all Palestinian factions to oppose the ongoing peace talks and any emerging agreement, saying that after decades of on-and-off talks, negotiations have proved a "mirage." Abbas said in a Feb. 2 interview with the New York Times that he would welcome US-led NATO troops to be positioned at all border crossings in a future Palestinian state as an alternative to Israeli forces. Israel has insisted on retaining an extended Israeli military presence in the Jordan Valley, rejecting the idea of an international force. In the following year, violent clashes erupted between Fatah and Hamas, leaving Hamas in control of the Strip and Fatah in control of parts of the occupied West Bank. Tens of thousands of Palestinian worshipers prayed for rainfall following the Friday prayers at the Aqsa Mosque in occupied Jerusalem. 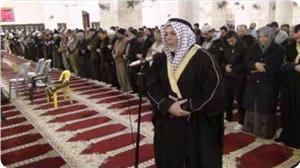 In his Friday khutba (sermon), Sheikh Yousuf Abu Sanina, the imam of the Aqsa Mosque, warned the Palestinian authority (PA) and its negotiators of relinquishing the right of return, which he described as non-negotiable and inalienable. Sheikh Sanina said that the PA and the Palestinian liberation organization (PLO) has no right to waive the return of the Palestinian refugees to their homes because the right of return belongs to the whole Palestinian people. "There is a lot of indicators pointing to something serious lurking on the horizon about the refugees, Jerusalem and other rights and constants, which are being exposed to plots," the imam of the Aqsa Mosque said.